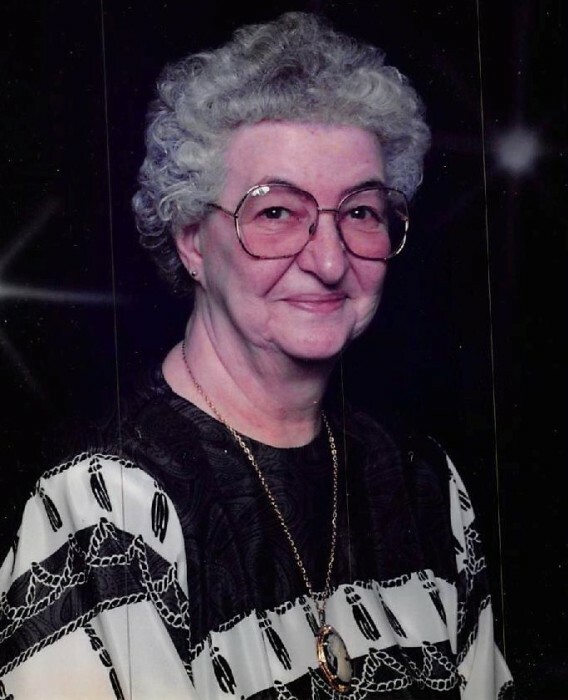 Marian N. Chestnutt, age 86, of Ogallala, passed away, Saturday, January 12, 2019 at the Good Samaritan Hospital in Kearney. Marian was born to Fred and Louisa (Schneider) Forell on August 21, 1932 at Belvidere, Nebraska. She attended schools in NE, CO, and KS, graduating from Phillipsburg High School in Phillpsburg, KS. Marian was united in marriage to Melvin Chestnutt, January 8, 1954 at Kensington, KS. To their marriage was born 6 children; 4 girls and 2 boys. Her hobbies included crocheting, quilting and baking. She was also a baseball fan and enjoyed rooting for the Nebraska Huskers. She is preceded in death by her son, Steve, her parents, and 2 brothers, Richard and Meredith Forell. Marian is survived by; her husband; 4 daughters; Yvonne Chapman of Martinsville, IL; Rocklynn Chappell of El Campo, TX; Tamara (Michael) Haggard of Lincoln, NE; Brenda (Michael) McGinty of Paradise, CA; 1 son; Eldon (Jane) Chestnutt of Emerson, NE; 10 grandchildren, 11 great-grandchildren, and several nieces and nephews. Signing of the register book will be, Thursday, January 17, 2019 from 9:00 a.m. to 5:00 p.m., at the Draucker Funeral Home in Ogallala. Funeral Services will be held, Friday, January 18, 2019 at 2:00 p.m., at the Draucker Funeral Home with Rev. Chuck Rager officiating. A memorial has been established to the American Cancer Society in her name. Register book can be signed at the Draucker Funeral Home.